It’s time to take your baking skills to another level. You can make cookies on the grill? Absolutely! This is one of my favorite desserts to make. Not only are chocolate chip cookies a classic, they are easy to grill. This gives me the chance to bring the cozy feeling of milk and cookies outside on a cool summer night. 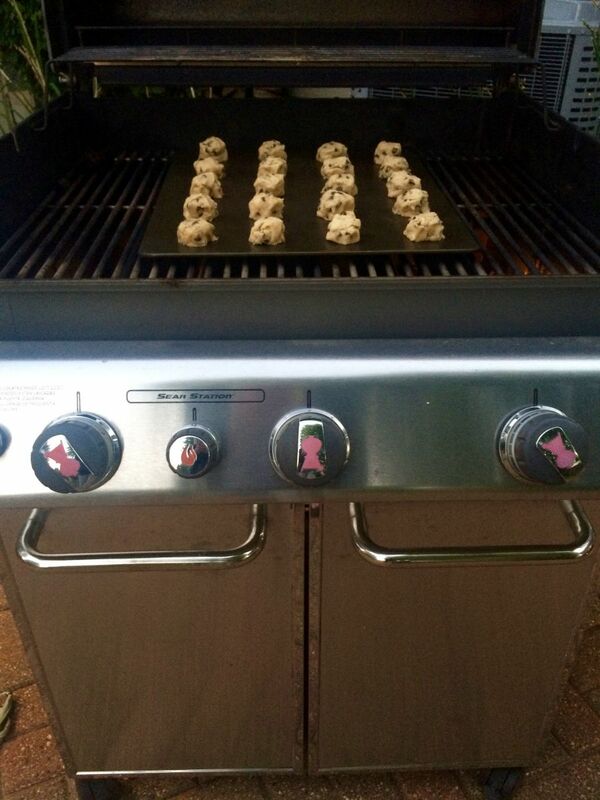 Prepare your favorite cookie dough and then follow my tips below for taking it to the grill! 1. You are going to be cooking over indirect medium heat, so preheat your grill for 10-15 min then turn it down to 350 degrees. 2. Place your cookies on a cookie sheet. 3. 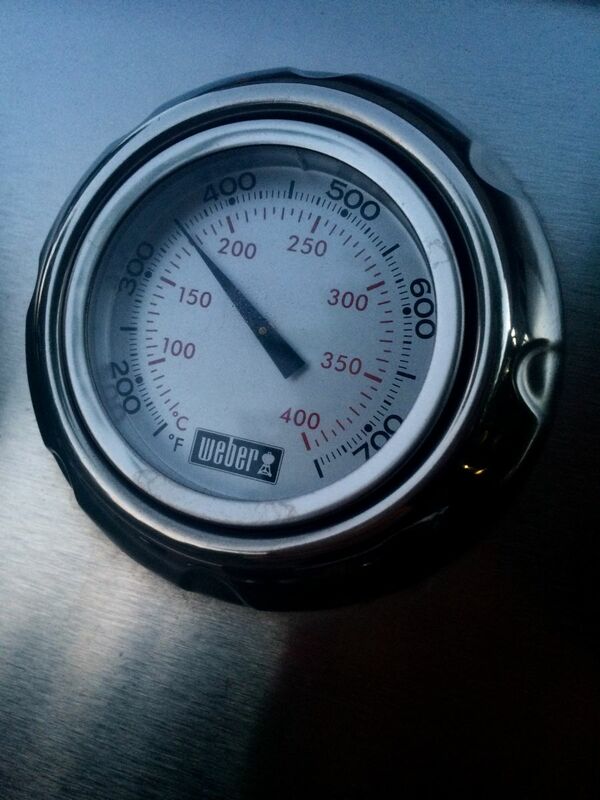 Once your grill is back at 350 degrees, put your cookie sheet in the center of the grill, over indirect heat. 4. Close the lid and set your timer for about 12-15 minutes, depending on how crispy you like your cookies. Side note: even though the cookies are starting to smell amazing after 10 minutes, don’t open the grill yet, this takes away from the grill holding it’s temperature and ultimately adds more cook time. 5. 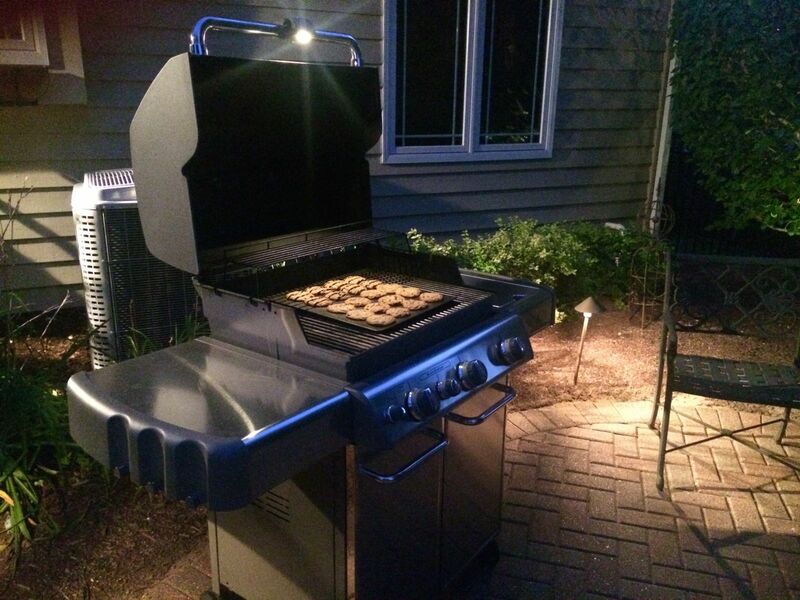 When the timer goes off, open the grill to find your delicious cookies. 6. Let them cool for about 2 minutes and then serve.